Thus the SETI paradigm is a kind of Frankenstein's monster of old body parts collected from the last two centuries that somehow walks and talks but cannot align with the world in which it now finds itself. Recently, SETI has attempted to get more in synch with current issues in astrobiology, and now considers that life - even DNA-based life due to Panspermia mechanisms - may be much more pervasive than originally thought. But if life is more widespread than SETI thought, so might be intelligent life and technological societies. This possibility is rarely acknowledged in the halls and annals of SETI. Nor does SETI reflect the implications of post-Newtonian (i.e., twentieth-century) physics for the prospect that we and other societies could achieve interstellar travel - even now that we have entered the twenty-first century and society's horizon of the possible is rapidly expanding. Why does SETI hold so to its rigid paradigm? Perhaps because it cannot face the prospect of changes that could undermine the very reason for its existence. Open SETI Physics 101 reviews elements of physics that have received widespread attention if not full acceptance, but that appear so far to have been ignored by SETI. But beyond that, new formulations of physics itself are on the horizon. These hold promise of completely replacing today's ideas of the nature of reality. Two such new formulations are introduced on this page, with links to resources that fully explain them. The physics of Don Hotson is discussed under the heading Zero-Point Energy, Part 2 (below). A discussion of Subquantum Kinetics (far below), an important new physics developed by Paul A. LaViolette, appears at the end of this page. Each of these proposals contains many considerations that would require revising not only Open SETI Physics 101, but much of Open SETI, let alone SETI, and widespread areas of science and technology as well. However, for the moment, the two bodies of ideas remain somewhat encapsulated until better understanding has been gained of their implications vis a vis each other and the Open SETI paradigm. That said, let us now look at some areas of more mainstream physics that will have implications for SETI. Dimensionality beyond our familiar 4-D spacetime has long been a staple of science fiction, the dream of science "buffs", and the framework for "the other side" where people go after death, shamans travel, the soul resides, and UFOs fly when we can't see them. Not that the idea of extra dimensions is without support from mathematics and physics. The mathematical basis is certainly there, and modern superstring theories require 10 spatial dimensions. In these theories, all the matter and forces that we know of, with the exception of gravity, are constrained from moving into the extra dimensions, or from them into our own spacetime. That is why we cannot see them. But could we at least see gravitational effects leaking across from other dimensions? It is possible that we DO see them! Gravitation from matter in the extra dimensions could explain the mystery of the "dark matter" that seems to make up 90% of the mass of the universe. To move these speculations into the realm of experiment, physicists would like to examine the structure of gravitational forces and/or observe the quantum behavior of the strings that have their basis in the extra dimensions. Until recently, however, their problem has been that the extra dimensions were thought to be "curled" into tiny circles too small to be observed. The small size would mean that the structure of gravitational forces is far too small for our experimental devices to work with, and that particles corresponding to that size would be far more energetic than any we could create with existing or planned colliders. But in new theories gaining support today, the extra dimensions are wrapped into circles as large as a millimeter in radius. That seems small but it is actually large enough to come within range of, for example, the Large Hadron Collider that will become fully operational in 2008. Tabletop gravity experiments are now underway. The small size of the extra dimensions in no way limits the extent of the spacetimes that would connect to any of them. At any given coordinate along one of the dimensions, an entire 4-dimensional spacetime could exist, as well as parallel universes with dimensional systems utterly unlike our own. In one scenario, they would have properties identical to those of our own world. Or they could even BE our own world, folded back at some point practically unreachable from here, yet only a millimeter away in higher-dimensional space. SETI scientists frequently cite the enormous amounts of energy that would be required to accelerate a space vehicle to near-light speeds. Figures are often quoted in terms of years of total U.S. energy output, as though to demonstrate the practical impossibility of interstellar space flight. Yet for at least as long as SETI scientists have been invoking the scarcity of energy, physicists have accepted the concept of "zero-point" energy (ZPE) (also known as "vacuum fluctuations"). This refers to enormous amounts of energy associated with the minimum quantum state of atoms at absolute zero temperature. The average energy is E = hn/2, where h is a constant from quantum theory, known as Planck's constant; n refers to frequency. Can this energy can be tapped? The possibility is under intense investigation. Rather than attempt to review this subject here, I direct the reader to a review and tutorial Understanding Zero Point Energy by Tom Vallone, Integrity Research Institute. Also see Puthoff (Puthoff, H.E., 1998, Can the Vacuum be Engineered for Spaceflight Applications? Overview of Theory and Experiments. Jour. Sci. Exploration 12: 295-302. Originally presented at the NASA Breakthrough Propulsion Physics Workshop, NASA Lewis Research Center, Cleveland, OH, August 12-14, 1997) on laboratory investigations of experimental formats for tapping the ZPE for practical use. That was the conventional approach to ZPE. The subject is cast quite differently by Hotson (2002), who takes us back to 1934, when the physics community was having difficulty understanding the physical meaning of P.A.M. Dirac's (1928) relativistic generalization of the Schrödinger wave equation. The equation gave four solutions instead of the expected two, seemingly calling for electrons and positrons of positive energy, and electrons and positrons of negative energy - whatever that might be. Through lines of reasoning retraced by Hotson, physicists concluded that the equation would require the existence of a "sea" of negative energy electron-positron pairs (epos), and they then did away with the troublesome negative energy sea by means of dubious rationalizations. This resulted in a description of a universe that more or less matches the one we live in, but one that must contain behaviors that we normally don't see, such as the vacuum fluctuations. Hotson explores the results of retaining the full set of solutions to Dirac's equation. As he explains, there should be no problem in understanding the meaning of the negative-energy epos, given that their vibration is assigned an imaginary direction (i.e., orthogonal with respect to our four). He shows in Part 2 (2002) that the "sea" resembles a vast Bose-Einstein Condensate (BEC), and the total solution predicts and explains numerous properties of our observed reality that have been considered anomalous in the present description. "You will recall that the Dirac 'cosmology' depends on a single premise: that the Dirac equation mandates that the 'vacuum' actually be a Bose-Einstein Condensate (BEC) consisting of condensed epos, which form the sole 'building blocks' of the universe. "Some new evidence has emerged that demonstrates exactly that. Dr. Benni Reznik of Tel Aviv University has published a series of papers showing that the 'vacuum' itself is entangled, that points arbitrarily far apart in the 'vacuum' violate Bell's Inequality, and that two unentangled probes, launched into the 'vacuum', rapidly become entangled themselves. He says that the 'vacuum' actually operates as if it were a BEC." 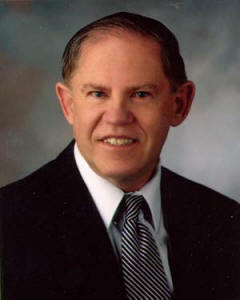 Reznik's research will be reviewed by Open SETI at a future date. Meanwhile, an abstract with links to his papers on quantum entanglement may be viewed here. Hotson points out that the negative BEC would interact with plasmas to create behaviors that have been observed but not up to now understood. And in effect, these behaviors represent a drawing out of energy from the negative BEC. In other words, ZPE is being extracted from the sea, and it happens all the time in macroscopic systems that we can observe, such as in the Sun and the large gaseous planets of our solar system. Astonishingly, Hotson explains with numerical solutions the "resonances" between planetary bodies long observed and never really understood by planetary astronomers. These effects are the result of perturbations of the BEC's wave function on the scale of the solar system. And finally, this is important for Open SETI, because the planetary processes once understood could be copied and employed by space hardware for propulsion and many other applications. SETI's dour outlook on the prospects for interstellar travel has apparently not discouraged the aerospace community from actively beginning to outline engineering requirements and develop the concepts for propulsion and other enabling technologies. To demonstrate this fact, I had a link on this page to an excellent review of "Advanced Propulsion Concepts" - mission requirements and propulsion options - on a JPL page entitled "INTERSTELLAR MISSIONS". Unfortunately JPL now blocks public access to this information and to the image that used to appear in the space above. One propulsion method proposed for interstellar missions is that of the laser light-sail, employing a solar-system-based laser, a very large fresnel-zone lens, and a very large light-sail on the spacecraft. Robert Forward (1984) describes a technique for achieving a round trip by deploying a backward-reflecting ring-shaped sail beyond the destination star for deceleration and the push for the return. The outbound leg to a Centauri would take 41 years. These are but a few of the plausible proposals for interstellar travel. Readers interested in pursuing this subject further could begin with The Starflight Handbook (Mallove and Mattloff, 1989), covering propulsion and many other topics relating to non-relativistic flight to the stars. "Advanced Propulsion" seeks to achieve speeds up to about 0.1 c - one tenth the speed of light which was for most of the last century considered an absolute limit on the motion of macroscopic objects. But the speed of light no longer has that unassailable status. 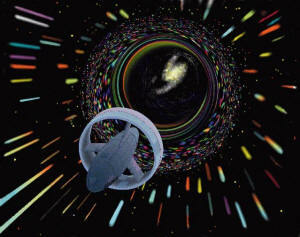 In fact, a technology to support faster-than-light travel has been proposed by Mexican physicist Alcubierre (1994). It would be accomplished by distorting the local space-time metric in the region of a spaceship so as to achieve motion faster than the speed of light as seen by observers outside the disturbed region. Hal Puthoff (1996,1997,1998,2002) elaborates on the proposal with a discussion of metric engineering, whereby the speed of light in free space c is changed by modifying the magnetic permeability and dielectric permittivity of the vacuum. Another example of manipulating the spacetime fabric for purposes of travel was described by Eric W. Davis in Wormhole Induction Propulsion (WHIP). The technique involves the generation of ultra-high B fields through the use of chemical or nuclear explosive technologies. According to Davis, laboratory experiments that can be performed now have excellent potential of demonstrating the spacetime distortion required for this type of breakthrough propulsion. 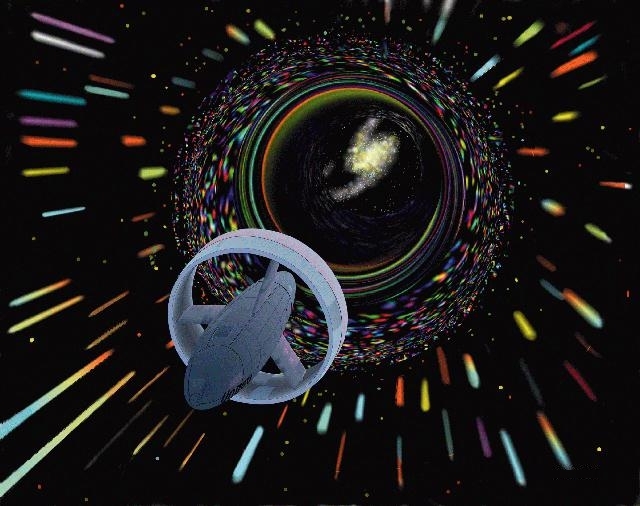 Continuing his studies of wormhole production via spacetime metric engineering, Davis in a 2001 report, Wormhole-Stargates - Tunneling Through The Cosmic Neighborhood, examined the morphology of traversable wormholes consistent with the General Theory of Relativity (GTR), including "time machines" with which he claimed GTR is "infested", and noted that many reported behaviors of UFOs are fully consistent with the use of such wormholes. This work is updated by Davis in his Teleportation Physics Study (2004) report to the Air Force Research Laboratory. An extract of an article by Dr. Michael E. Salla exploring the "exopolitical implications" of the report can be found in the sidebar at the right. Open SETI is (Feb 2005) studying the report for its many apparent relevancies to the Open SETI theme. When complete, the results of this review will appear here. See also time travel. The possibility of manipulating gravity and altering mass (of spaceships, say) as a means of reducing energy requirements for space travel had been discussed in the open scientific literature for many years. For example, as early as 1963, Robert L. Forward showed how Einstein's equations of general relativity predict that a moving mass can create non-Newtonian gravitational forces on a test body. Forward demonstrated how a massive rotating ring generates forces similar to the familiar centrifugal and Coriolis forces. In order to make practical use of these forces, very high masses or densities would be required, as well as relativistic equatorial velocities. Limitations in mechanical strength of materials could be overcome by employing electric or magnetic fields to contain the inertial forces. Forward proposed that manipulation of gravitation by such means could lead to ways to accelerate space vehicles to nearly the speed of light. It should be pointed out that Forward's discussion was published forty years ago in the open scientific literature. Presumably work in this area has continued. See, for example, a recent investigation by the Advanced Concepts Office of the Propulsion Directorate of the Phillips Laboratory at Edwards Air Force Base (Forward, 1996). In 1997 NASA held a Breakthrough Propulsion Physics Workshop to identify "affordable, near-term, and credible research that could make measurable progress" toward the achievement of breakthroughs leading to practical interstellar transportation. based loosely on the 1994 "warp drive" paper of Miguel Alcubierre. Credit: NASA CD-98-76634 by Les Bossinas. Topics discussed included coupling of gravity and electromagnetism, vacuum fluctuation energy, warp drives and wormholes, and superluminal quantum tunneling. See also NASA's Breakthrough Propulsion Physics Project. As a final example of a breakthrough propulsion proposal, see the patent by James Woodward: Method for transiently altering the mass of objects to facilitate their transport or change their stationary apparent weights. Woodward describes a tabletop experiment designed to reveal mass fluctuations in Mach’s Principle, Mass Fluctuations, And Rapid Spacetime Transport. Many readers will be shocked at the idea that Einstein's view of relativity was utterly wrong and that the edifice of today's science based on that view will soon fall. Yet a little research reveals that Einstein's "thought experiments" have never been supported by real-world experimental data, and that they lead to unresolvable paradoxes, the hallmark of a failed theory. Einstein, in connection with his Special Theory of Relativity (SRT), did not independently derive the Lorentz transformation that thoroughly intertwined space and time. Rather, he tentatively selected that transformation as an ad hoc approach to solving problems presented by the Maxwell Equations. There was trouble with this use of the Lorentz transformation almost from the very beginning. For example, the transformation relates to a translation that is applied only along one coordinate axis. But in the more general case of two linear, non-aligned translations, the calculation of the transformation breaks down; the results are dependent on the order in which the two translations are applied. This is a paradox, an absurdity. The famous "twin paradox" associated with SRT has never been resolved, particularly not by the argument that the acceleration of one of the twins breaks the symmetry. The reason is very clearly shown in the paper. The behavior of particle clocks is not as predicted by SRT. If SRT fails, the speed of light in a vacuum is not a constant and is not a barrier. In fact, velocities in excess of 10c have been observed by astronomers. Furthermore, gravity appears to act instantaneously over distance, and NASA assumes this in its calculations. The final point above bears directly on the possibilities for high-speed space travel. It suggests that there is no fundamental limit on possible speeds. General relativity presents its own problems. I have not yet discussed these, but will include such a discussion later as time permits. No discussion of the impact of current theories in physics on the possibilities for SETI would be complete without a recognition that various concepts of nonlocality arose in the last century, and experiments verified that under certain circumstances ("entanglement"), faster-than-light interaction seems to take place between physically separated particles - in violation of Einstein's General Theory of Relativity. Two very clear reviews and explanations of this development are given by Gary Felder in his article Spooky Action at a Distance (Einstein's term) and David M. Harrison in Bell's Theorem. More recent experiments are beginning to suggest that this "entanglement" effect can have real, macroscopic applications--in other words, that superluminal communication might be supported. But vastly broader implications have been drawn. Matti Pitkänen in TGD inspired theory of consciousness and biosystems as macroscopic quantum systems and subsequent articles all in The Journal of Non-Locality and Remote Mental Interactions (JNLRMI) Volume I, Number 1, develops a view of biosystems as macrocosmic quantum systems existing in a many-sheeted spacetime. JNLRMI appears on the website EmergentMind.org, a forum created by Dr. Lian Sidorov, already containing many articles and other contributions that bear heavily on SETI's theoretical underpinnings. A technology based on nonlocality would be an obvious candidate for supporting Telepresence. (Quantum entanglement may be vastly more "far-reaching" than we had supposed. A discussion of time travel may be accessed HERE. The purpose of this page is to demonstrate how badly the SETI program has misstated the possibilities for long-distance space travel, which is crucially important to the development of the SETI paradigm. The list of topics obviously does not constitute more than the briefest glimpse of present or contemplated state of the art, but it should suffice to illustrate the problem. The case would be even more strongly made, however, if some note could be taken of "exotic" technologies that have been proven and have achieved operational status, though they may not be discussed in the scientific literature - perhaps not even as distant possibilities. For now, such technologies are highly classified and protected under the rubric of Black Special Access Programs ("Black Projects" or "Black Programs"). Many who have worked in such areas have affirmed seeing things that are far in advance of anything dreamed of in the unclassified world. But what are these things and how can one approach knowledge of them without actually entering that domain, and how then can they be spoken of in the unclassified literature? One person who has tried to solve that problem is Nick Cook, former aviation editor of Jane's Defence Weekly. Handed a photocopy of an article about antigravity development from some old popular magazine, Cook did a cursory check and found that there WAS a spate of stories on the subject in the early 1950s, but all talk of antigravity suddenly stopped in 1957. Not really expecting to turn up anything more, Cook followed up what few leads he had, working on his own time. Early on in his research, he encountered reports of the work of American physicist Thomas Townsend Brown (1929), who, as a student under the guidance of physicist and astronomer Paul Alfred Biefeld, had discovered that a plate-like object charged positively on one side and negatively on the other would exhibit thrust in the direction of the positive pole. This odd effect, which came to be known as the Biefeld-Brown effect, had no explanation in conventional physics, yet there it was. Brown's experiments with "electrogravitation", as he called it, continued under mirky circumstances -- likely under cover of classification, yet official military pronouncements stated that the propulsive effect was merely the result of the air currents or ion currents generated by Brown's apparatus. Brown himself claimed to have properly addressed and disposed of that possibility. At any rate, in 1952, the Pentagon declassified and released a document describing Project Winterhaven, a proposal to develop an operational flight system utilising the Brown effect. 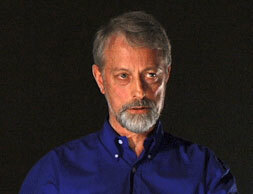 Nick Cook, following lead after lead, eventually traced the antigravity story to roots deep in the underground slave factories of the Third Reich, and had surprisingly revealing interviews with past and present research directors of the most advanced aerospace development facilities in the U.S.
As he reports in his recent book, The Hunt for Zero Point (2001), there is good reason to believe that Germany had made significant progress in anti-gravity technology, and that their work was transplanted to the United States and the USSR after the war. Now how were the Germans, coming out of a deflationary depression, and now under the stress of war, able to achieve any measure of success with a technology so advanced as to appear little more than a science fiction myth to most of us some sixty years later? 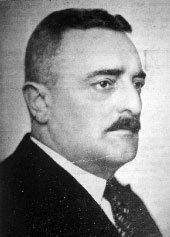 In my opinion it was because of their willingness to support radical departures such as the visions and ideas of the Austrian "forester" Viktor Schauberger. Schauberger developed his unusual theories, which he turned into working machines, from observing fluid dynamics in streams and rivers, watching how fish swim, etc. He felt that he was seeing the manifestation of energy from these motions that was not originally there. He seems to have been correct. By departing from the usual method of the development of scientific ideas, Schauberger seems to have come across something that had been totally missed. The phenomenon was real, but the basis of it was unknown - probably to Schauberger himself as well as his peers and definitely to his SS overseers. But he was taken seriously, not only by the Germans, but by the Americans, who brought him over after the war and essentially stripped him of all his work. More about The Hunt for Zero Point. Is antigravity an operational military technology? Australian aerospace engineer Malcolm Street suggests some versions of the Joint Strike Fighter have it. His article, Anti-gravity and us, is controversial but provocative, and contains valuable links (including pages of links) for further study. And Dr. Paul A. LaViolette, using his principles of Subquantum Kinetics, described in the next section, shows how the B-2 Stealth Bomber may well employ electrogravitics as its primary means of propulsion and perhaps directly for lift. "There are grounds to recommend this monograph as a compulsory textbook for students of the physical sciences because without knowledge of the main aspects of subquantum kinetics, modern physics will not adequately develop as a science and also because the detailed understanding of physical phenomena and their complex interrelations is a basic requirement for every expert in the field of physics." The fundamental recognition upon which Dr. Paul A. LaViolette bases his highly promising Theory of Subquantum Kinetics (SQK) is that general systems theory, which describes a common set of dynamic interactions found in biological and social systems of every level of complexity, might well be applicable to the world of subatomic particles and whatever substrate may lie beyond the quantum level. 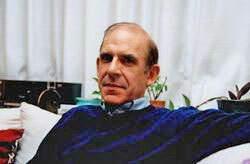 LaViolette's approach is to adopt a widely-studied set of three-variable dynamic equations describing an archetypal kinetic system known as Model G, an extension of the two-variable Brusselator, postulating that the same dynamics operate on the subquantum level to generate the physical world that we can observe, and to test his hypothesis by looking for conformity of the resulting physics with what is accepted to be true, and to predict the outcome of future observations and experiments. In LaViolette's SQK model, the universe is an open system at all levels, and our physical universe commonly exchanges energy across the "quantum barrier" under certain well-defined circumstances. This is a profoundly non-conservative model (i.e., energy is not conserved and the second law of thermodynamics does not apply) with major implications for everything from microphysics to cosmology. But what is the system beyond the quantum barrier (i.e., the system out of which particles, fields, forces, charge, gravitation, all arise to create the world described by physicists)? What is it that would have the dynamic processes defined by the Model G equations? LaViolette proposes the existence of a primordial transmuting ether composed of populations of subtle particles that he calls etherons exhibiting reaction and diffusion dynamics governed by the Model G equations. Concentrations of these etheron populations or substrates are identified with the potential fields of physics. Wave-like field gradients form observable quantum-level structures such as energy waves and subatomic particles with mass, charge, spin, and force field effects. From this simple basis, and some fine-tuning of the model's parameters, LaViolette proceeds to - apparently very successfully - crank out our familiar world. Because it begins with a single model as its point of departure for describing essentially all observable physical phenomena, SQK can be considered a unified theory. Can it truly be so? Can this approach work? In lesser hands, probably not. But with great competence and a sure knowledge of the philosophy, history, and the classical and current issues of physics, wonders unfold in succession. In his seminal Subquantum Kinetics (2003) we are shown the structure of subatomic particles and how they are created, the basis of photon behavior, the internal electric potential field profile of the proton, the nature of electrostatic charge and of gravity, solutions to persistent problems in quantum mechanics... and this is only the microphysical level. SQK has tremendous importance in cosmology leading to a new view of the cosmos. Are SQK and Hotson's physics relevant to SETI and Open SETI? Of course they are, if SETI has anything to do with physics at all. The incorporation of new physics into the Open SETI paradigm will be an important thrust in the development of this field. In SQK, gravitation is not a result of a warping of the space-time continuum - which, in fact, SQK claims does not occur. Instead, the gravitational potential fields, as are other energy potential fields surrounding subatomic particles, are generated by surpluses or deficits in the production of etherons (G-ons in the case of gravitational potentials) at the particles' centers with respect to the production rate in their surroundings. These surpluses or deficits, which LaViolette identifies as active gravitational mass, are predicted by the kinetic equations governing the SQK processes associated with the particles. SQK predicts that gravitational potential fields plateau to a finite value at the center of subatomic particles, unlike the 1/r2 singularity of classical physics. There is also a 1/r4 "genic" energy radiation pressure. Each of these effects eliminates the possibility of gravitational collapse to a black hole under any circumstances. In other words, there are no black holes in SQK-based cosmology and astrophysics. In a short two-page development, LaViolette finds that gravitationally interacting matter particles would have a mutual attraction, while antimatter particles would be mutually repulsive. More precisely, positively-charged particles generate a gravity potential well, while negatively-charged particles actually generate a gravity potential hill. In neutral matter, the effect of the positive particles dominates, hence we see the familiar gravitational attraction of matter. However, in the case of antimatter, with positrons (positively charged) and antiprotons (negatively charged), antiprotons dominate gravitationally, and the net gravitational effect is one of repulsion, suggesting that antimatter stars and galaxies would be unable to form. In the case of matter-antimatter gravitational interaction, the antimatter particle would continually chase the material particle. When a source mass is in motion, its gravitational force field would contain some curl. In other words, gravitodynamic forces similar to electromagnetic forces, only much weaker, are predicted by SQK. Gravity experiments have demonstrated the production of Hertzian-like gravity waves by a revolving mass, which would be consistent with this prediction. Nikola Tesla's scalar wave technology has been suppressed and all but forgotten, but for legends that will not die. But the social pathology of our human society may not be universal. Why would other civilizations not enjoy this technology? It is known that "Tesla waves" were generated by sending very short, very-high-voltage spikes into spherical monopolar radiators. The resulting Non-Hertzian or scalar waves are fully described in Paul LaViolette's Subquantum Kinetics. Being longitudinal waves, they do not excite currents in ordinary antennas, and thus cannot be detected by ordinary receiving systems such as the kind employed by SETI. While their very existence is officially denied, detection by quite simple receivers has been demonstrated. Furthermore, they can easily be collimated, making them ideal for long-haul communications, possibly over interstellar distances. Can you think of any reason why the public would not be told of a communications technology employing signals that are undetectable by ordinary receivers? Search the SETI literature for mention of scalar waves and you will find nothing. This is but another indication that SETI is not serious about its work, preferring to adhere to official agendas for public information and education. T. T. Brown's tethered disk showing charge clouds and suggestive plot of gravitational potential, courtesy Paul. A. LaViolette. Brown claimed that the observed propulsive force driving the disk was generated by an electrostatic-gravitational interaction. Though his demonstrations were impressive, and probably stimulated classified military research, neither Brown nor anyone else was able to satisfactorily explain the interaction until it was recently predicted by LaViolette's subquantum kinetics. B-2 showing charges emitted by flame jets as interpreted by Paul LaViolette from information disclosed in Aviation Week (1992). Courtesy Paul A. LaViolette. Flame jets are jet engines with internal electrodes for disbursing negative ions in the exhaust stream. Positive charges are conducted forward and distributed along the craft's leading edges. The electrogravitic effect was not mentioned in the Aviation Week article. As described by Paul LaViolette in "The U.S. Antigravity Squadron" (1993), Brown's disks generated a cloud of positive ions ahead of their leading edge, and a negatively-charged cloud behind the trailing edge. According to SQK, this places the disk between a gravitational hill and well, and the disk continuously "falls downhill" with the clouds following along. Understand that the forces propelling the disk are a function of the electrostatic potentials applied to the leading and trailing edges of the disk and can be made arbitrarily high. In a 1952 demonstration for the Air Force, Interavia magazine reported that tethered disks charged to several hundred thousand volts moved around a 50-foot-diameter circle at speeds of several hundred mph. It is also important to realize that occupants of craft propelled in this way will be in free fall at all times and will feel no inertial forces under any degree of acceleration. 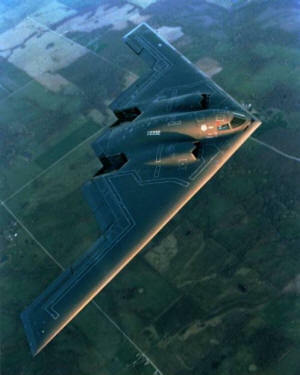 LaViolette suggests that this propulsion technology is by now highly developed and operational in U.S. military aircraft - specifically the Northrup B-2 Advanced Technology Bomber - the stealth bomber. Working with published information about this aircraft, LaViolette reads between the lines and develops considerable suggestive information about how the technology may be being used, both for lift and thrust. He also describes a zero-fuel operational mode with the craft powering itself with "energy tapped from its self-generated gravitational gradient". For a full review of what is publicly known about antigravity propulsion, see La Violette's Secrets of Antigravity Propulsion (2008). The importance of all this to SETI should be glaringly obvious. It is saying that we, today, possess technology that SETI does not ever allow its target ET civilization to have. For example, SETI is fond of saying that fuel requirements render interstellar travel impossible. What, we wonder, does our own Department of Defense think of the SETI program? SQK models radiant energy as a propagating electric potential wave ("scalar reaction-diffusion wave"), rather than as a propagating electromagnetic force field wave (vector wave) of Maxwell's theory, with its alternating electric (E) and magnetic (H) force field intensities transverse to the direction of propagation. SQK's electric potential wave has no magnetic wave component. In fact, magnetic potential fields do not exist in SQK. The wave also includes a gravity wave component. These waves propagate forward because their field gradients extend longitudinally, as two types of etherons are alternately compressed and rarefied. In this they resemble sound waves, but these waves can induce transverse forces on distant test charges if they have been set up by charges moving transversely, because the motion of the charges creates transverse potential gradients. Thus these primarily scalar waves can have the property of polarization. In that sense they are Hertzian waves. But SQK also predicts the existence of energy waves that are primarily longitudinal. 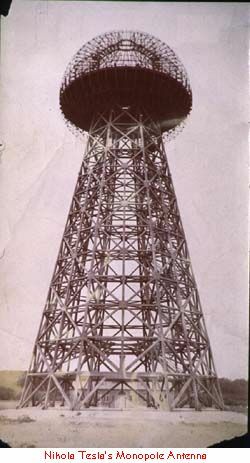 Such non-Hertzian waves would radiate from an electrically charged sphere (a monopole antenna) with an oscillating surface voltage - as in Nikola Tesla's "monopole magnifying transmitter tower". Since "Tesla waves" would be incapable of accelerating charges transverse to their direction of propagation, conventional radio receivers (such as operated by SETI) would be unable to detect them. However, in a closed cavity, they would be able to produce standing waves of electric potential. Devices capable of detecting these waves have been demonstrated. LaViolette gives a differential equation expressing Tesla-like scalar potential waves propagating longitudinally through the ether at a velocity that can be greater than c.
The point of discussing Tesla and electrogravitics on this page is to show that these technologies are neither mysterious nor complex in their basic principles. The reason there is little popular understanding of them is simply that they have been suppressed, for important strategic purposes. That is also why SETI does not consider them. Unfortunately, by not considering them, SETI's strategy is skewed away from success. I would suggest that SETI's lack of success itself serves a greater strategy. Finally, you, the reader, are made to suffer a severely constrained world view due to SETI's failure. Long overdue (as of March 2007) on this website has been mention of the "Electric Sky" model of astronomical and astrophysical objects, as developed by Wallace Thornhill, David Talbott, Anthony Peratt, Halton Arp and others, and summarized in the highly readable The Electric Sky by Donald E. Scott (2006). Unlike other exotic models discussed on this page, this one requires NO new constructs, rather an insistence on holding to well-known basic phenomena that have been willfully ignored at the convenience of mainstream astronomers and astrophysicists. plasmas cannot be perfect electrical conductors because if they were, the very electric fields on which they depend for their existence would be annihilated. It is because if they are not perfect conductors, then magnetic fields cannot be locked into them, and this has incredibly wide implications for astrophysics including solar physics, nuclear physics, and phenomena on every scale, including the Earth's weather. Another key feature of the "Electric Sky", strangely ignored by astronomers and astrophysicists, is the so-called "Birkeland current", an interaction between electrical currents in plasmas and magnetic fields giving rise to filamentary structures that carry energy over vast distances... energy sufficient to power stars and all sorts of astrophysical phenomena that have been amply observed but never properly understood. Failure to recognize this source of stars' energy has led to a total misunderstanding of the life cycle of stars, and on cosmological times and distances, factors on which the sacred "Drake Equation" of SETI is based. Astrophysicists suffer from more than this simple blind spot. They have missed the role of electromagnetic fields almost completely, preferring to explain their world in terms of gravity, magnetism, and fluid dynamics. But their explanations have had to invoke a menagerie of impossible beasts, such as black holes, undetectable or "missing" ("dark") matter, open and reconnecting lines of magnetic force, etc. Our plan for addressing this problem will be first to give you references to the defining sources, rather than give a second-hand summary of their excellent work here, and then to show the applications of their model to issues in the SETI world. See The Electric Universe and The Electric Sky - Interview with the Author. This table tersely maps the position of Open SETI, as will be developed on these pages, with respect to the SCAM and the Electric Sky models. For those who have not read the main sources, we'll list here the "Plasma Pioneers" and their contributions, taking from the chapter of that name in Scott's book. Heroic expeditions to observe geomagnetic activity and auroras in northern Norway. First to propose that electric currents come from the Sun, flow into Earth's upper atmosphere, and cause the auroras. Generated artificial auroras in vacuum chambers with magnetized metal spheres (see Terrella) to represent the Earth. 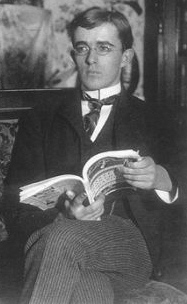 His work was denigrated by the English mathematician Sydney Chapman who argued for a model based on the kinetic theory of neutral gases and a "dynamo" driven by tidal flows in the ionosphere. 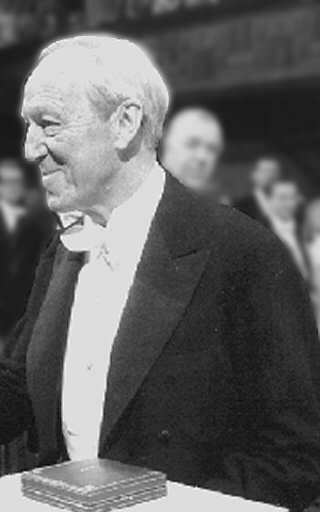 Chapman eventually had to admit he was wrong when Birkeland's model was shown correct through the use of high altitude rockets and satellite technology, but his ideas persist in atmospheric physics. Discovered the twisted corkscrew-shaped paths taken by high-intensity electric currents in plasma. Discovered that electric currents in space tend to follow magnetic fields ("lines of force"), not cut across them (as suggested by the Lorentz force term qv cross B). Discovered the "double sheath" or "double layer" (DL) effect in plasmas. Coined the term plasma to describe the almost lifelike, self-organizing, self-sustaining behavior of these ionized clouds in the presence of electric currents, magnetic fields, and foreign bodies. These have nothing to do with gas dynamics, to the eternal dismay of experts in gas dynamics. Among the many properties of plasmas he discovered: plasma frequency. The Langmuir probe, a laboratory tool still widely used. Developed method of calculating the motions of electrons and ions in magnetic fields. First to predict (1963) the large-scale filamentary structure of the universe. Played central role in the development of plasma physics, the physics of charged particle beams, and interplanetary and magnetospheric physics. Twenty years before the discovery of the Van Allen radiation belt, developed the basic tools we use today to describe it. Proposed mechanism explaining the acceleration of cosmic rays now known as the Fermi Mechanism -- before Fermi. 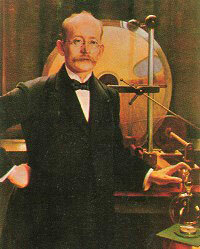 Fought for years to make astronomers aware of the existence and importance of electric fields and currents in space. With his students, developed the theoretical and mathematical foundation for the earlier experimental results of Birkeland and Langmuir. Was never able to change the mindset of most astrophysicists who continue to follow the purely deductive mathematical approach championed by Chapman and followers that ignores the importance of electric currents and fields, treats plasmas as if they were gases, and views as "flawed" any observations that conflict with their models. Computer simulations of galaxy formation. Published articles on Evolution of the Plasma Universe and Formation of Systems of Galaxies. Edited special issue of IEEE Transactions - a seminal publication that sets out the fundamental basis of the Electrical/Plasma Universe. Using an extremely large computer, applied the Maxwell-Lorentz equations to each member of a huge ensemble of charged particles - the Particle in Cell (PIC) simulation - generating images of simulated galaxies almost indistinguishable from actual ones. The gravitational effects in the PIC simulation were negligible. Published The Physics of the Plasma Universe (Springer-Verlag 1992) showing why electrical effects canot be ignored in any modern study of the cosmos. Development of plasma models of astronomical objects and their features. The big bang today relies on a growing number of hypothetical entities, things that we have never observed-- inflation, dark matter and dark energy are the most prominent examples. Without them, there would be a fatal contradiction between the observations made by astronomers and the predictions of the big bang theory. In no other field of physics would this continual recourse to new hypothetical objects be accepted as a way of bridging the gap between theory and observation. It would, at the least, raise serious questions about the validity of the underlying theory. There is no "Open SETI cosmology" but conventional "Big Bang" cosmology is strongly contradicted by new formulations of physics that seem to be candidates for inclusion in an Open SETI paradigm. Don Hotson points out that problems resulting from the Doppler interpretation of red shifting led to the ad hoc invention of expanding space, a phenomenon said to have begun with the Big Bang. Among the many problems with the expanding space idea is that of explaining how expanding space can actually move any material object, going so far as to accelerate whole superclusters of galaxies to 99% of the speed of light. Hotson shows that light loses quanta of energy to the medium through which it travels. This being the reason for observed red shifting, there is no expansion of the universe requiring an initial magical explosion. In the open system of SQK, matter and energy formation at favored "supercritical" locations in the vicinity of gravitational potential wells gives rise to ever-growing structures spanning the hierarchy from subatomic particles all the way to galactic superclusters. The "genic energy" arising at the centers of all celestial bodies rather inverts conventional concepts of the life cycles of stars and galaxies. While all these objects continue to grow and to evolve up the hierarchy, lone photons and other particles traveling through intergalactic space have a certain tendency to degenerate back into the transmutive ether along the way. This makes SQK a "tired-light cosmology" (like Hotson's and Halton Arp's) and resolves Olber's paradox (i.e., explains why the night sky is dark). Tired-light cosmologies refute conventional redshift-age associations and can lead to radically different estimates of objects' ages and distances. As with Hotson's physics, cosmogenesis in SQK is ongoing and there is no big bang. Thus the age of the universe is indefinite if you include the transmutive ether in your definition of "universe". There are two important qualifiers to this statement. First, since the rate of production of matter and energy grows exponentially (due to the fact that it is favored in locations that already have matter in them) the vast majority of the manifested universe has come into being fairly recently; LaViolette suggests ten-fifteen billion years, which compares well with conventional estimates. The second qualifier is that LaViolette considers even the underlying ether to be "open" in both directions, meaning that something even further removed from our view may be stirring the pot by flowing across an interface into it. So it could be that "something" which set things going originally, causing the first subatomic particles and energy potentials to appear as out of the void, whenever they did. SQK's explanation for our inability to directly perceive the transmutive ether and its etherons with our physical senses or our instruments is that we and our instruments are composed of matter and energies that simply do not interact directly with etherons. It is concentrations and fluxes of etherons that create our matter and fields. The Model G equations that describe these fluxes and dynamic interactions are not necessarily the complete set of equations that may describe all etheron dynamics. It could very well be that other etheron states could be associated with fluxes into other universes undetectable to us. Note that such universes would occupy the same space and time continua that we do; no matter, we still would not connect with them. Not, at least, with our present technology. Can you see how this, along with other considerations of stellar evolution and the correct distance to other celestial bodies, are important considerations for SETI? The complete story of these matters can be found in Subquantum Kinetics (2003) and Genesis of the Cosmos: The Ancient Science of Continuous Creation (2004). Both books are important for understanding the full picture. Also see Evidence Against the Expanding Universe Hypothesis. A major portion of Genesis of the Cosmos is devoted to the concept that SQK is actually an ancient science, encoded for us in well-known myths - for example, the Egyptian myth of Osiris, Isis, Set, and Horus (representing etheron states and dynamics) as well as the Hindu gods. The very idea that greater wisdom and knowledge may have been possessed by our ancient forebears is itself utterly at variance with the beliefs of modern society, which of course includes the beliefs of the SETI community. But this idea has been a part of Open SETI since the original Opening of SETI paper was conceived and delivered in 1994. And this is why you are reading Open SETI. The topics discussed on this page are of course fascinating in themselves, but they are also relevant to Open SETI because SETI calibrates its paradigm according to what it perceives to be the limits on space travel and communications. So here we have a taste of developments in physics and space technology that portend vastly changed possibilities for travel and communications in space. Surely the next hundred years will see our own civilization gaining capabilities scarcely dreamed of today. Yet what is possible for us must be as nothing compared to the achievements of far older civilizations. If SETI is constructed on an opinion of what is possible for a space-faring civilization, it surely needs to track and EXTRAPOLATE the progress taking place in these fields.